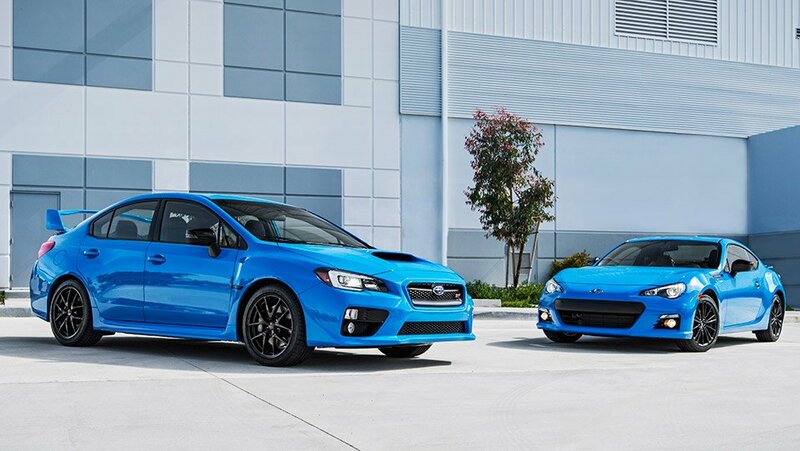 Though it may not be the most original hue chosen for special edition cars, Subaru is coloring their BRZ and WRX STI similar to the Volvo Polestar cars and calling them The Series.Hyperblue because a cool color absolutely requires a cool name with no spaces. 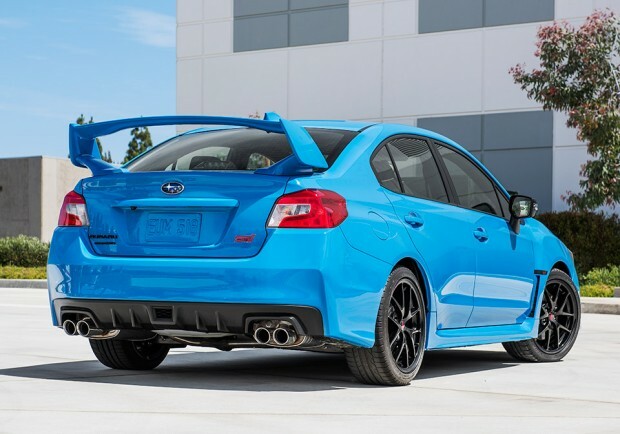 What’s more important than the name are the interior and exterior touches exclusive to these cars. Subaru interiors, especially their sportier models, could use some drama, anyway. So, the cabin is treated with black and blue everywhere – including leather and Alcantara suede upholstery, along with blue seat bolsters and headrests, more blue accents and stitching on the steering wheel, shift boot and even the parking brake boot. The exterior gets the paint job, of course, and also tasty black 18-inch BBS wheels and black side mirrors for a combination of sinister and sporty. 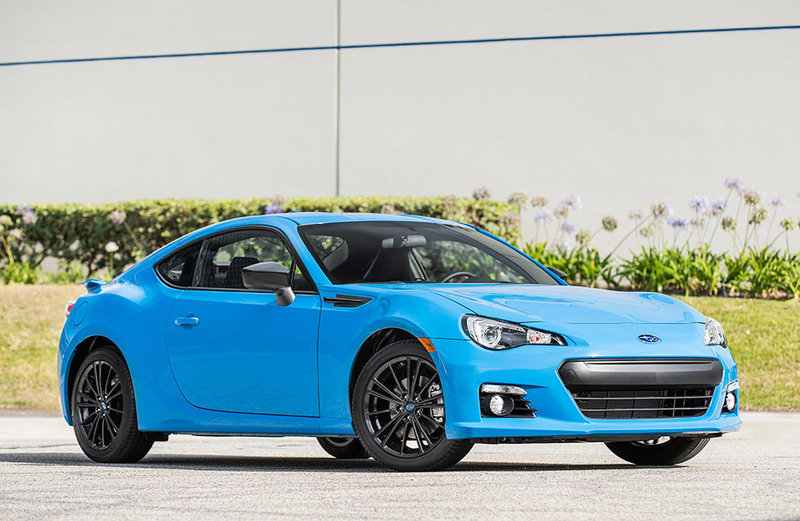 There are no performance or suspension upgrades like the sport-tuned Vehicle Dynamics Control (VDC) or 17-inch Brembos found on the Japan-only BRZ tS, but that doesn’t mean the limited number of 500 BRZs and 700 WRX STIs won’t fly off the showroom floors quickly. Pricing hasn’t been announced yet. Sales begin in the Fall of 2015.